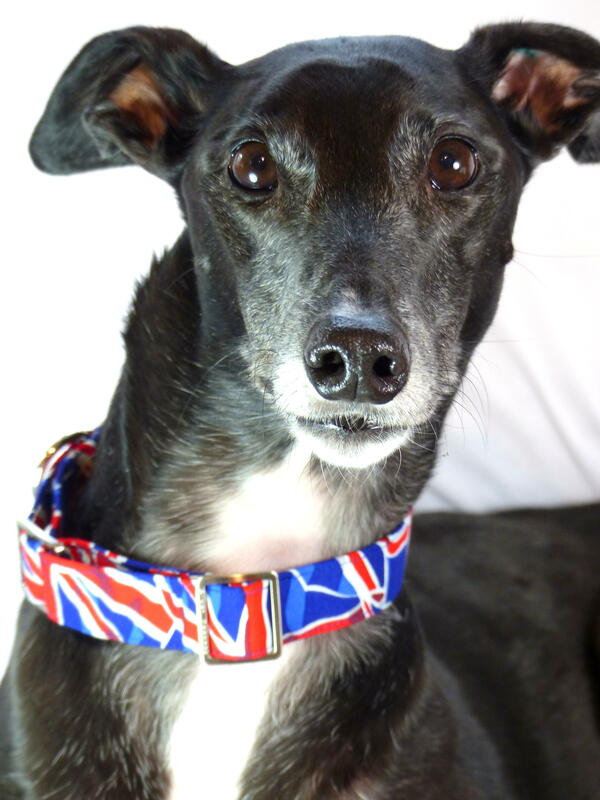 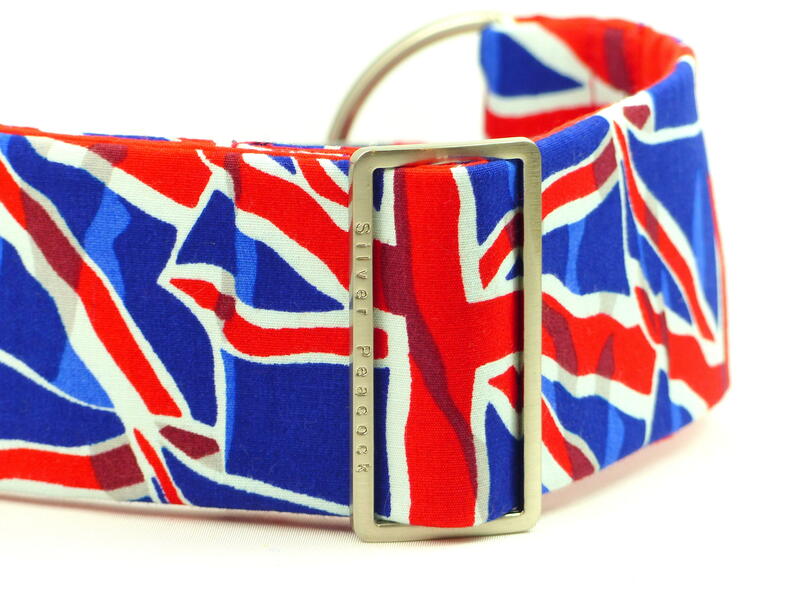 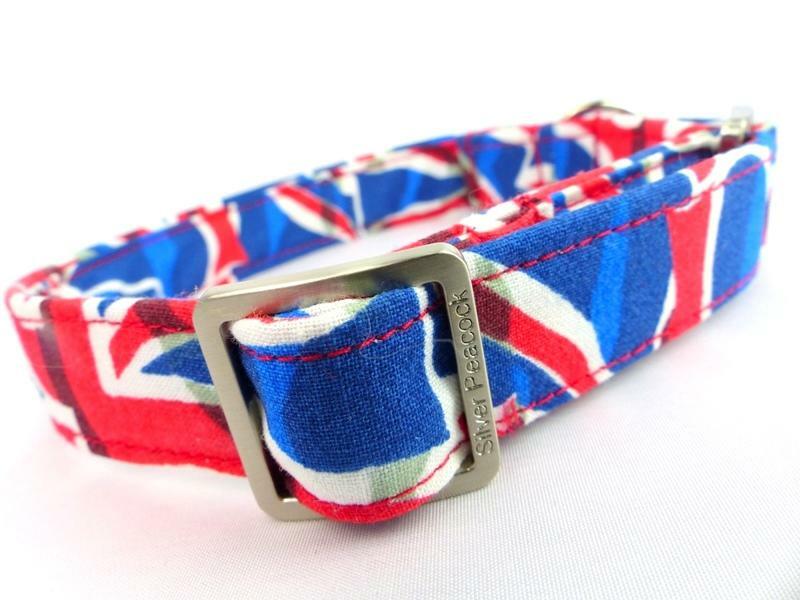 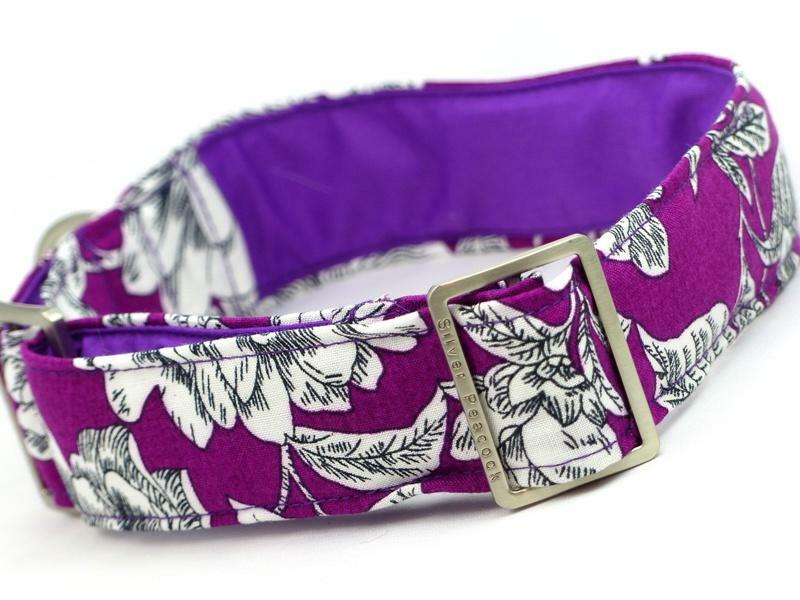 This collar is going to be perfect for all those sporting events, whether it's 3-day eventing, or tiddly-winks; or just to show your hounds patriotic pride! 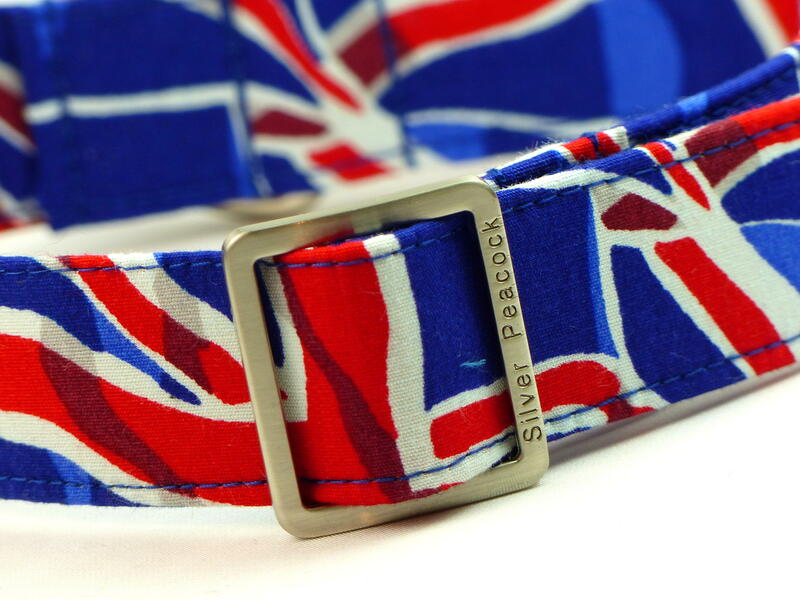 The super funky (and very trendy) stylised Union flag design is printed on top quality cotton twill fabric. 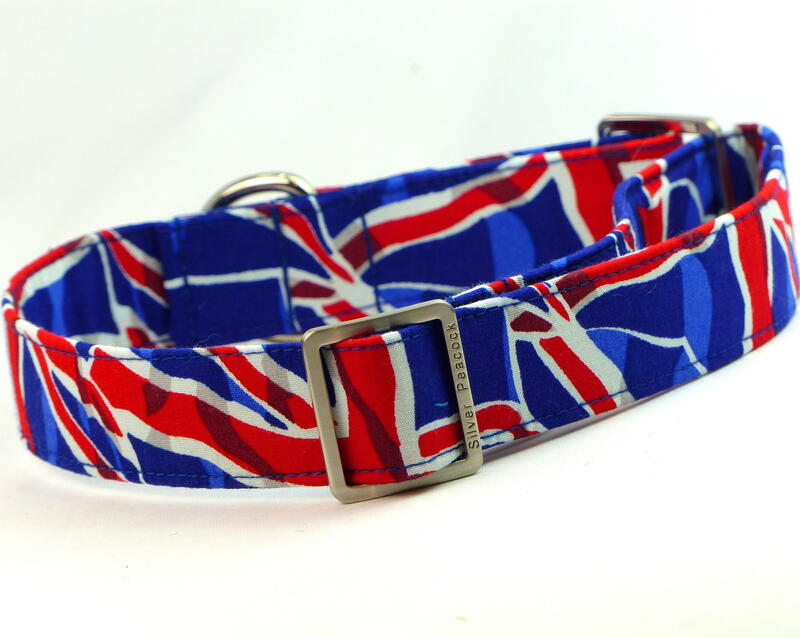 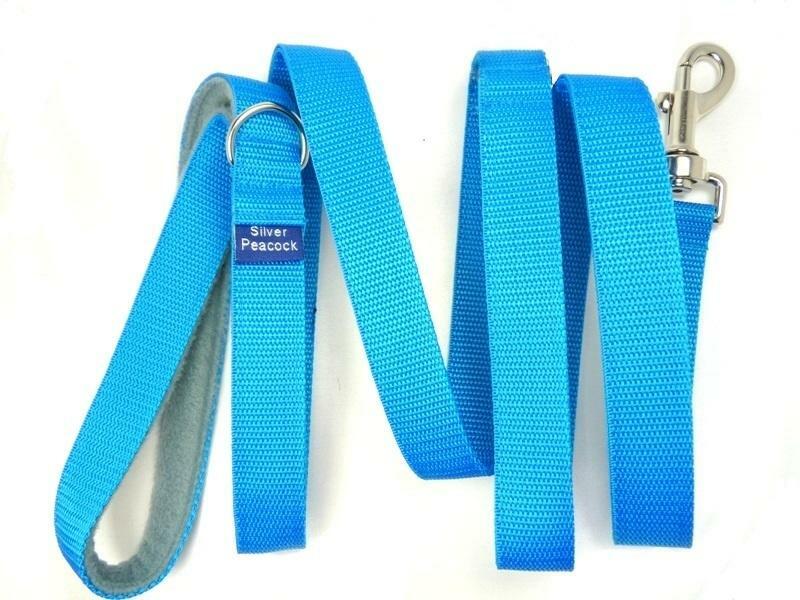 Printed in bright red, white and blue with darker shaded areas the collar is lined in black fabric and is finished with robust silver coloured hardware.